Religion is a very volatile subject for some, even in prison. Looking back on my own prison journey, some of the most heated debates with my fellow prisoners have been in regards to religion. Although the belief in the supernatural is a metaphysical practice, it is one with deep roots in the minds of the internal semi-colonies. It is for this reason that an analysis of religion and its effects is needed. From where does religion derive? No matter what religion, they all have one thing in common: they originate from ideas that are outside of reality. Most religions come from ancient peoples attempting to understand the material world in which they lived. Many of the ancient religions believed that when it rained it was the Gods crying because they were angry or sad. Tornados were thought to be the wind Gods who were angry. The Mexica (Aztecs) believed the Sun would only rise if people were sacrificed, if their hearts were ripped out, and burned. Even in recent years when the earthquake in Haiti occurred religious people said it was God punishing Haitians for practicing Voodoo — another religion. Today we know when it rains and hails, it is nature at work. Earthquakes are the movement of the Earth's crust. We know that tornados are caused by different air temperatures and humidity. We know all of this because of science, and we can now explain these events without relying on mythology or folklore. Our scientific development as a society isn't limited to weather; we have developed our collective understanding of the world we inhabit in all realms of science. We don't know everything, but where there is an explanation based in materialism we should move past the outdated concepts offered by religions. And where we don't yet have an explanation we should look to the material world for answers rather than resorting to religious idealism. The old worn out saying that "God works in mysterious ways" is really just another way of saying someone doesn't have an answer. Ultimately the belief in religion is ignorance. But it's not a benevolent ignorance; it is at its core reactionary and goes against true liberation. Many people held in U.$. 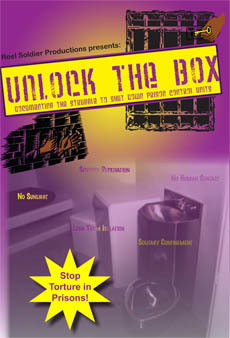 prison kkkamps come to these dungeons extremely demoralized, abused and uncertain. It is very disorienting to be criminalized by an occupier and harmed by an entity you don't even understand. Like our ancient ancestors, many fall back to religion when they don't understand the reality of their imprisonment. Whether it is politics, national oppression or the weather, religion remains a crutch for those without answers to their mysteries. The formation of religious groups in U.$. prisons represents a contradiction. Religious cults in prison are attempts by the oppressed to deal with their oppression, or attempts by our oppressors to explain our oppression to us in terms that also placate us. We are using religious groups to try to help ourselves, but ultimately we end up stuck in an escapist fantasy. Among [email protected] and other Raza prisoners, Catholicism is probably the most popular religion. Many [email protected] that I have debated within prisons will defend Catholicism as a part of "our cultura." Catholics in prison do not create groups that are active outside of the chapel. At the same time one will see both those Raza who belong to lumpen organizations (LOs) and those former "gangsters" who have taken up this brainwash ideology all comfortably praying together in the chapel. The colonizer's religion has become so respected that most [email protected] LOs will be okay with its people leaving the LO to dedicate themselves to religion. But as some comrades have brought up, those same [email protected] lumpen groups would not react the same if their people left to take up revolutionary politics. Amongst New Afrikans, Muslims are most common within prisons. Of all the religious groups in Califas prisons, the Muslims are most organized and operate much like LOs. It is in the Muslim services where one will hear a lecture on concepts like discipline, unity and dedication. Many Muslims also connect to outside Muslim organizations and work to connect prisoners who are released to the outside Muslim community. This is something that the Catholics or Christian Chaplains/communities do not really do. So in this sense Muslims do more prison outreach. Most prison administrations are happy to promote religion and make sure Bibles are in abundance. Religious channels on the TV are rapidly approved for the prison viewers and Chaplains/Imams are welcomed to enter even the maximum security prisons and walk the tier. These religious leaders are welcome to distribute their propaganda while revolutionary publications are censored, books on national liberation are used to label one a part of a Security Threat Group, and even visits from activists are denied. This is because one ideology teaches one to get free from the oppressor and the other teaches one to simply pray that the oppressor will stop oppressing you. Rather than teaching prisoners how to fight oppression religion teaches people to pray for forgiveness from the oppressor. It teaches that some supernatural being has a plan and if we humbly accept our oppression in life we will be rewarded in some afterlife. Pacifism, or the belief that non-violence will solve oppression, is idealism at best. NEVER in hystory has a people obtained real liberation via religion or pacifism. 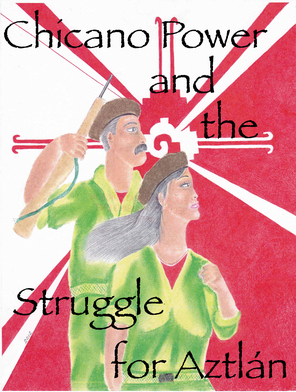 Liberation has always required revolutionary theory and a strong dose of armed struggle when conditions were ripe. I'm all for peace, but not peace while living under an occupation with Amerikkka controlling Aztlán. I'm not for peace while the oppressor nation has me and my people in its prisons and sentenced under its kkkourts when they have no jurisdiction over what my nation does. I won't wait for mine. Instead I'll learn who the oppressor is, teach others to struggle against oppression and work to liberate my nation. Kneeling in the prison chapel or muttering Novena will not advance the people's liberation. Reading political theory, creating study groups, and working with other prisoners to find ways to combat oppression will. Is opium good for the people? Marx once said that religion is the opium of the masses. This is because religion has the same effect on the mind as heroin does. It turns people into passive putty. Like a drug, the religious become hooked on a self-destructive activity which dulls their senses to the world we live in, all the while strengthening the oppressor. Of course there are cases where there are positive aspects to religion. There are the anti-imperialist efforts being carried out in other parts of the world by Muslims. There are Christian churches marching in the streets protesting the police murdering innocent people and against solitary confinement. And in some South and Central American countries there is a history of Liberation Theology advocates joining the revolutionary struggles. These groups rightly see that oppression suffered by mostly Brown and Black people is wrong. In a future socialist revolution there will be many religious people who will come over to join the revolution. But this does not change the fact that religion as an ideology is an oppressive institution. Any ideology that says wimmin are not equal to men, or that does not rely on the people to liberate themselves, is incorrect. The opium is bad for the people. Get off your knees and free your mind! 1. Malcolm X Speaks, p 112.